Toshikuni Nakagawa is the director of the Hiroshima Municipal Archives. He gave us permission to use one of their photographs for Tadashi’s book. 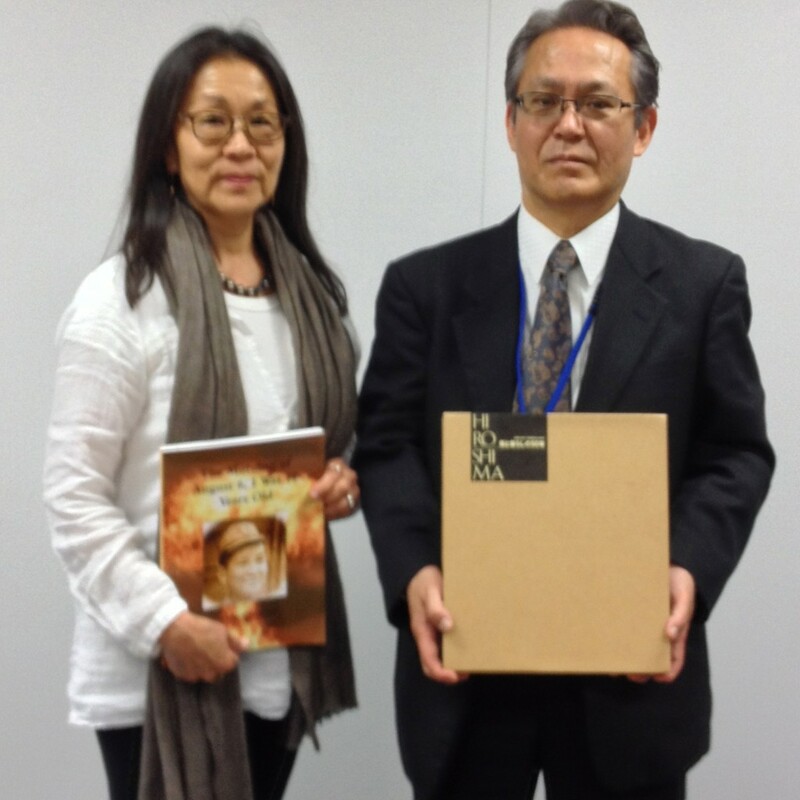 On our recent trip to Hiroshima we presented him with a copy of the book for their archives. On our recent visit to Hiroshima, we went to Nagatsuga, the monastery where Fr. Arrupe resided during the atomic bombing and where Tadashi’s family went to seek help. Fr. Shionoya is the current director and he gave us a tour, including the area where the fathers tended to the wounded after the bomb. 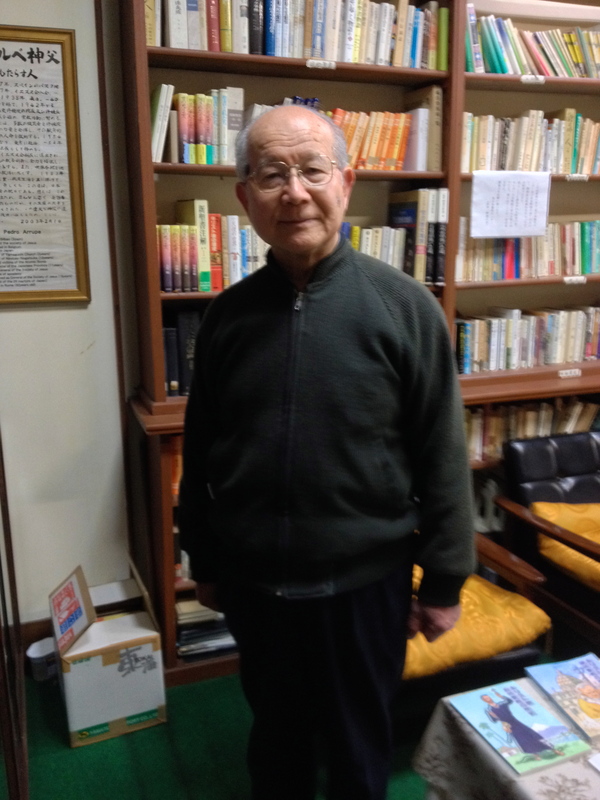 He accepted an English version of Tadashi’s book for their library. This October, we traveled to Rome, where Fr. 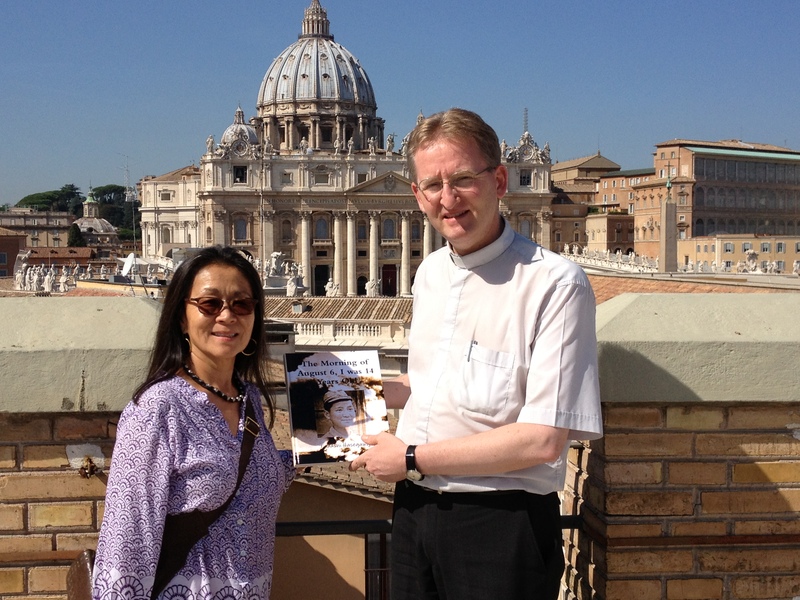 Marc Lindeijer, Assistant to the General Postulator of the Jesuit Curia, accepted a copy of Fr. 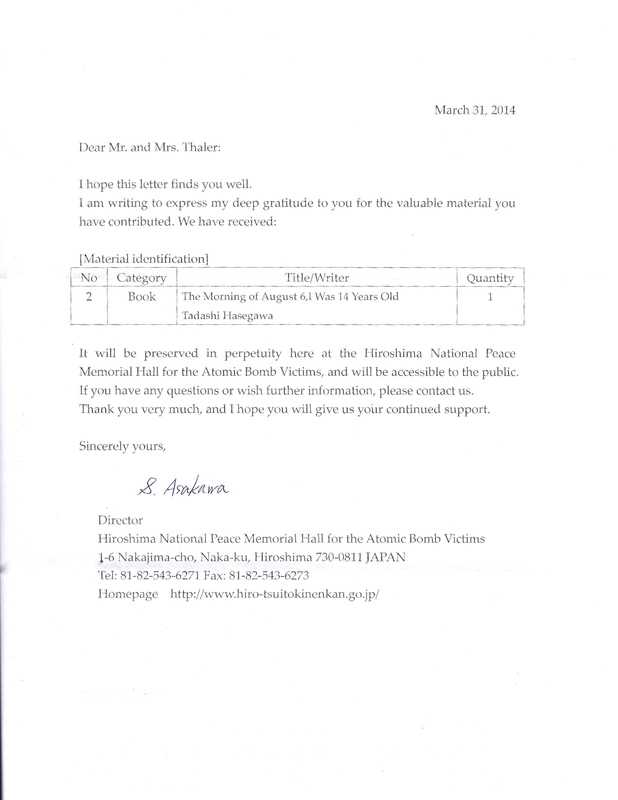 Hasegawa’s book for inclusion in the Father General’s library. He was very interested in hearing about Fr. 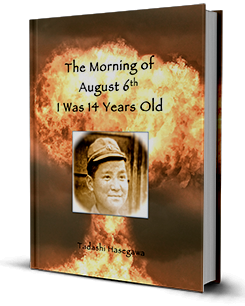 Hasegawa’s atomic bomb experiences and his relationship with Father General Pedro Arrupe and offered his assistance in telling the Jesuit community about the book. Thank you Fr. Lindejier!